Blended learning involves developing training programmes that contain a mix of both classroom and e-learning elements. It is a highly personal and flexible experience for the learner, plus it frees up learning resources (compared to classroom-only training) while delivering results. 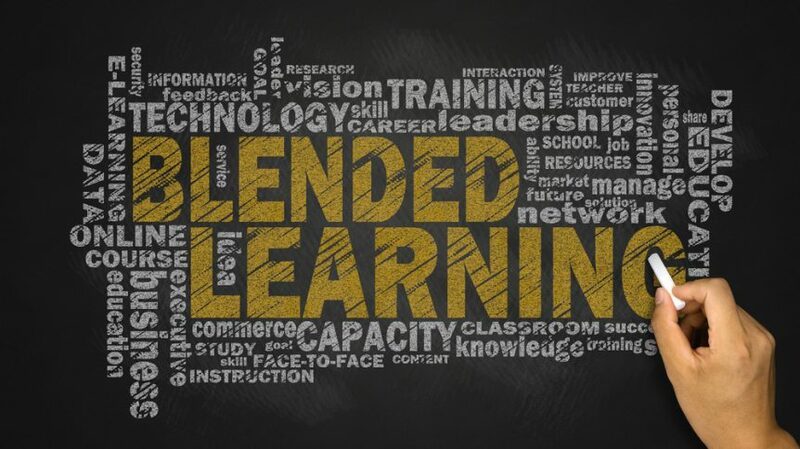 How do you get blended learning right, though? The following six tips will ensure you optimise the learner experience while maximising the results you achieve. Subject matter – this could be the subject matter of the course overall, as well as the subject matter of individual modules or elements. Logistical challenges – distance, time, and resource availability might restrict the number of classroom-based elements you can include in the training. An example includes a trainer based in Dubai with multiple learners in other countries. Personalisation of the training – one of the main benefits of a blended training approach is that you can make it personal to the learner. A key part of this is the interaction between the learner and the trainer in the classroom. To maximise this benefit, you might increase the number of classroom-based elements you include. If, however, there are lots of people involved in the classroom sessions, you might decide to reduce the number of these sessions as the trainer will find it difficult to give personal attention to each learner when there is a large group. When planning blended training, you should also think about how learners will want to use the material after they complete the course. They may need to refer back to particular elements to refresh their memories when they have to put the learning into practice at a later date, for example. Having e-learning modules in place for these elements gives the learner a powerful tool they can refer to when they need to. You can use technology for the classroom elements to save time and money. In other words, creating a virtual classroom environment with tools like video conferencing, screen sharing, and whiteboards. Personalisation is mentioned above as it is a crucial part of blended training success. Specifically, classroom-based elements allow trainers to individually assess each learner as well as offer them direct support, help, and guidance. This could be, for example, directing the learner to other training courses or modules that will help them achieve their (or your) goals. Having a flexible training strategy in your business can help with this. A flexible training strategy involves making a wide range of e-learning courses available to learners for whenever they need them. This empowers learners and can also increase knowledge/skill retention rates. This is because learners are often motivated to complete a course because they have an immediate need, i.e. just in time learning. Flexible learning is not just about empowering learners, however, as trainers using a blended training approach can also direct learners to modules or courses in the company’s e-learning library as required. Interactions with the trainer are essential to the success of a blended training strategy, but these are not the only interactions that are important. Interactions with other learners are important too. This includes everything from the social aspect of such interactions as well as the peer support that learners receive. In addition, classroom-based elements of a blended learning strategy often include collaboration exercises where learners work in teams. To take this a stage further, you should try to maintain a level of interactivity in the e-learning elements of the course too. This can apply to all the above – social interactions, peer support interactions, and collaborative exercises. Doing so will give the learner a sense of connection, even when they are completing elements of the course on their own. Following on from the last point, it is also important that learners can easily access support when completing e-learning elements. In the classroom, this can happen without much planning as the learner can simply approach the trainer to ask. In e-learning elements, you will need to outline the support that is available as well as how the learner can access that support. Blended learning will not apply to all training situations in your business, but it is a strategy you can deploy to great effect in the right circumstances. Examples include the onboarding process in your HR department or health and safety training. By following the tips above, your training initiatives will be more successful.